Charles Stearns Houghton married Anna Eliza Gray in Nov 12, 1870. Emma Maria Houghton married John W. Cleaves. Anna Eliza Gray married Charles Stearns Houghton, son of William Augustus Houghton and Mary Jones Houghton, in Nov 12, 1870. John W. Cleaves married Emma Maria Houghton, daughter of William Augustus Houghton and Mary Jones Houghton. John Williams Howe married Delia S. Hall in Nov 26, 1867 at Hudson, Middlesex Co., MA, USA, MLM: Nov. 26, 1867; 2: A.L. White: 26 nov 1857. Elizabeth Stearns Howe married Dennis A. Reardon in Jul 1, 1890 at Boston, Suffolk Co., MA, USA. 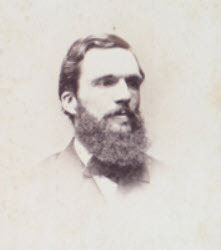 George A. Howe married Ida I. Morton in Jun 6, 1872 at Boston, Suffolk Co., MA, USA. Tamah E. Howe married Ben K. Gallup in Jun 26, 1878 MLM: June 28. Ben K. Gallup married Tamah E. Howe, daughter of John Howe Jr. and Mary Corey Houghton, in Jun 26, 1878 MLM: June 28. Delia S. Hall married John Williams Howe, son of John Howe Jr. and Mary Corey Houghton, in Nov 26, 1867 at Hudson, Middlesex Co., MA, USA, MLM: Nov. 26, 1867; 2: A.L. White: 26 nov 1857. Dennis A. Reardon married Elizabeth Stearns Howe, daughter of John Howe Jr. and Mary Corey Houghton, in Jul 1, 1890 at Boston, Suffolk Co., MA, USA. Ida I. Morton married George A. Howe, son of John Howe Jr. and Mary Corey Houghton, in Jun 6, 1872 at Boston, Suffolk Co., MA, USA. Death Mar 20, 1840 Harvard, Worcester Co., MA, USA, 20 y.
George Nelson Houghton and Abigail Taylor Rand declared their intentions of marriage on Jun 26, 1847 Harvard, Worcester Co., MA, USA. George Nelson Houghton married Abigail Taylor Rand in Jul 22, 1847 at Harvard, Worcester Co., MA, USA. Eliza Ann Houghton married George Blackwood Grassie in Oct 21, 1852. Rev. John Cephas Houghton married Mary Leora Smith in Aug 22, 1870 at Newport, Orleans Co., VT, USA, age 33; MLM: Aug. 23. Abigail Taylor Rand and George Nelson Houghton declared their intentions of marriage on Jun 26, 1847 Harvard, Worcester Co., MA, USA. Abigail Taylor Rand married George Nelson Houghton, son of Cephas B. Houghton and Sarah Whitney, in Jul 22, 1847 at Harvard, Worcester Co., MA, USA. Francena E. Whitney married Edward Warren Houghton, son of Cephas B. Houghton and Sarah Whitney, in 1856. George Blackwood Grassie married Eliza Ann Houghton, daughter of Cephas B. Houghton and Sarah Whitney, in Oct 21, 1852. Mary Leora Smith married Rev. John Cephas Houghton, son of Cephas B. Houghton and Sarah Whitney, in Aug 22, 1870 at Newport, Orleans Co., VT, USA, age 33; MLM: Aug. 23. Levi Elijah Houghton and Eliza Maria Hastings declared their intentions of marriage on Aug 3, 1849 Cambridge, Middlesex Co., MA, USA. Levi Elijah Houghton married Eliza Maria Hastings in Sep 5, 1849 at Springfield, Hampden Co., MA, USA. Levi Elijah Houghton married Florence K. Holden in Dec 24, 1877 at Greenville, Bond Co., IL, USA, Book A, p. 106; JWH, White, MLM: Dec. 5.